Happy weekend from Fextralife! If you’ve been too busy to keep up on the latest in the games we cover or are looking for a refresher, we’ve got your back. Let’s take a look at the comings and goings across the Fextralife Wiki Network. Check out the video above and read on for the text! Over the past week, Larian Studios released their fourth massive patch for their acclaimed Divinity: Original Sin 2 CRPG. It introduced many improvements to the game such as an update to its story to include Tarquin’s questline for existing game saves. A new feature where you can examine your enemy even when it isn’t your turn, as well as new items and journal updates to improve certain NPCs and story-lines. 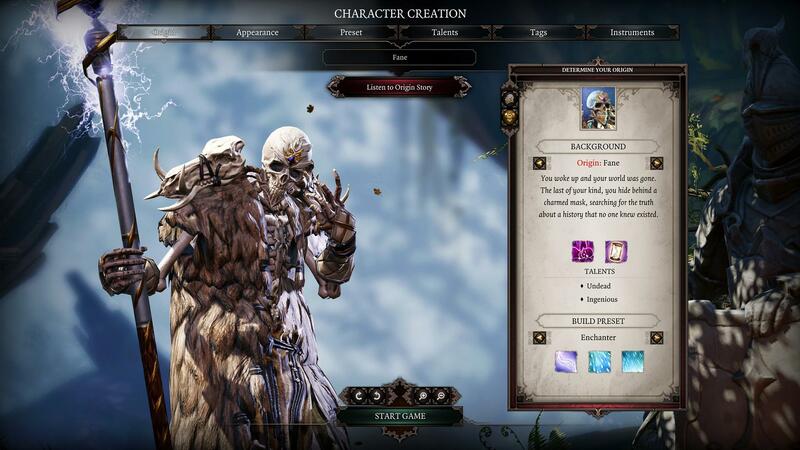 There are also enhancements made to Original Sin 2‘s Editor and GM mode, and much more. You can check out the full patch notes on the blog. 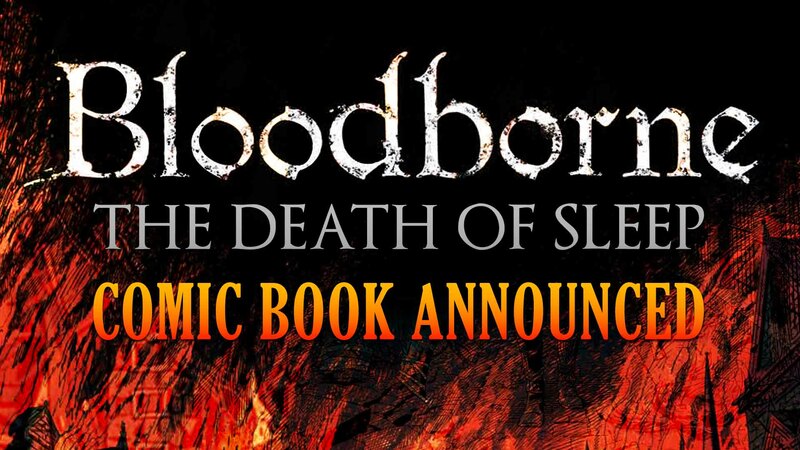 FromSoftware’s brutal action-RPG Bloodborne, will be getting a comic book tie-in that’s coming next year called Bloodborne: The Death of Sleep. The comic will be handled by Titan Comics, who has also worked with publishers such as Bethesda, in putting out comic book tie-ins of their The Evil Within 2, Wolfenstein 2: The New Colossus and Dishonored 2 IPs. The Death of Sleep will have its illustration done by Piotr Kowalski (who also worked on the Dark Souls: Legends of the Flame comic) and have its story written by Ales Kot. The writer, Kot, happens to be a massive fan of Bloodborne and has put in some 200 hours into the title, immersing himself to research the game’s universe. You can read more about it in detail on the blog. Get ready for some big news! Capcom’s upcoming Monster Hunter: World action-RPG, will have its first BETA that’ll begin on December 9th, 2017. Revealed during Sony‘s live pre-show event at Paris Games Week 2017, the beta will be exclusive to PlayStation Plus subscribers on the PlayStation 4. The beta can be played either online or offline, and will include three quests for players to try out. Furthermore, a new trailer was revealed; which you can watch on the blog, that showcases an exclusive PS4 crossover of Guerrilla Games’ Aloy from their hit open world title, Horizon Zero Dawn. 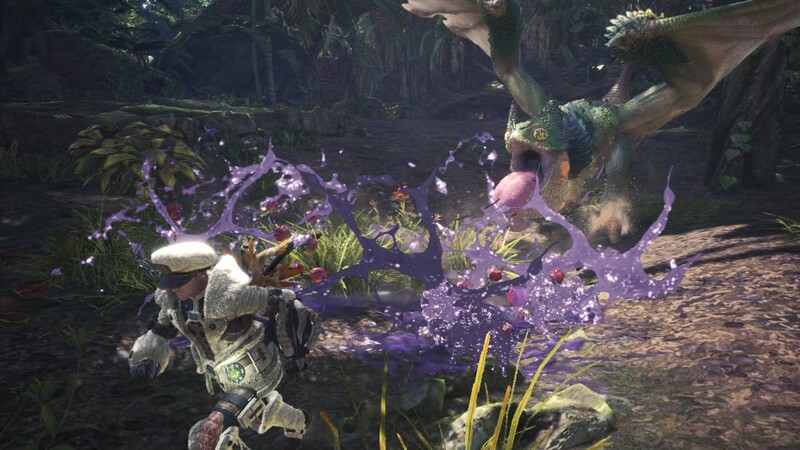 PS4 players will be able to play as Aloy in Monster Hunter: World, who comes complete with her own armor set, bow and robot for a Palico companion. 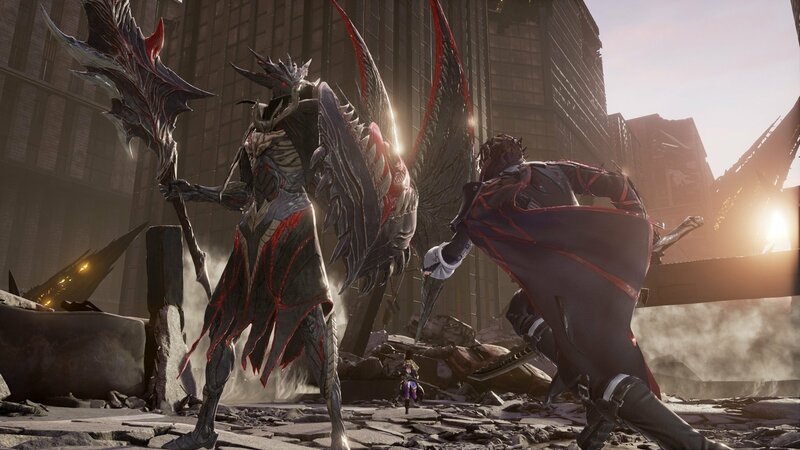 The official website for Bandai Namco’s upcoming anime-souls, action-RPG, CODE VEIN, has gone live. The new website is chock full of information and goodies on CODE VEIN, such as trailers, screenshots, character bio, lore, its game mechanics and much more. Unfortunately the official site is only in Japanese, but that shouldn’t stop you from lurking around and checking out some pretty nifty never-before-seen screenshots. There’s a link to the website over on the blog for those interest. Developer Deck13 has finally shared a launch time frame, along with new screenshots of their upcoming “A Walk in the Park” DLC for the mecha-souls, The Surge. Although previously thought to be launching in November, the announced add-on will launch sometime in early December 2017. 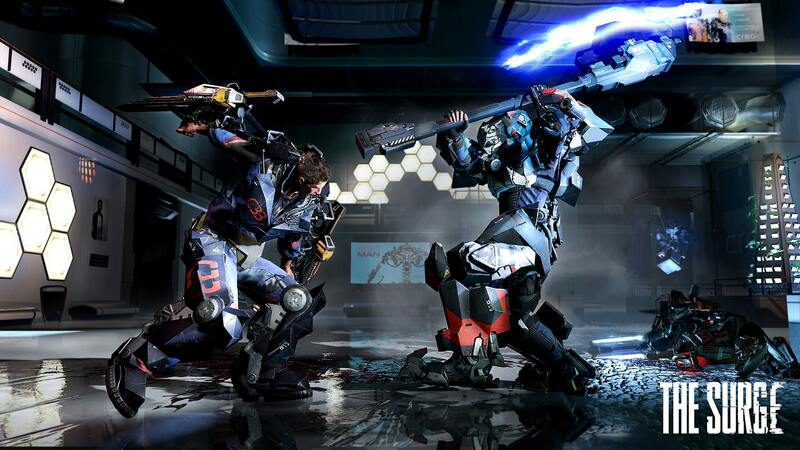 This will coincide with the release of The Surge: Complete Edition, which comes with the base game, all Weapon Packs and of course “A Walk in the Park”. The anticipated downloadable content will come with new armor sets, implants and sixteen new weapons. You can check out the latest screenshots on the blog that showcases gameplay and CREO’s amusement park, complete with roller-coasters. Announced during Paris Games Week 2017, the final piece of story DLC for Square Enix’s Final Fantasy XV JRPG dubbed “Episode Ignis“, will launch on December 13th, 2017. Episode Ignis will have multiple endings and have its soundtrack handled by Chrono Trigger‘s composer, Yasunori Mitsuda. The add-on will be priced at $5 USD and will be free for season pass holders. You can head over to the blog and check out its intense trailer, but be warned of spoilers if you’ve yet to play or finish the game. Also, Square Enix is finally bringing the adorable World of Final Fantasy turn-based RPG, to the PC platform via Steam. 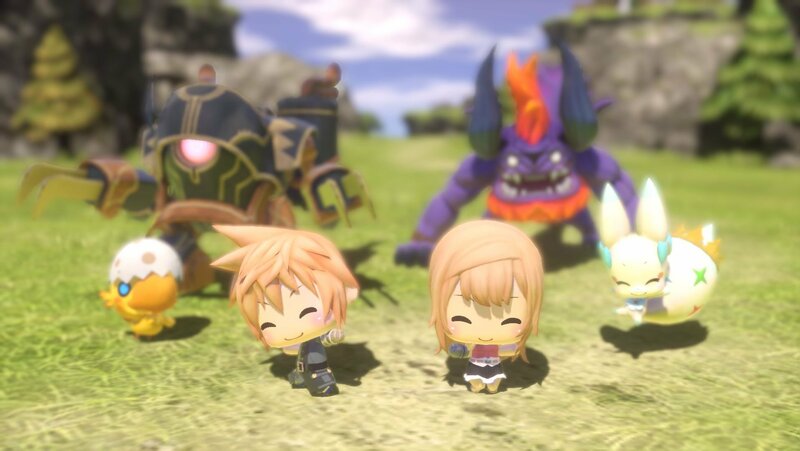 World of Final Fantasy was originally released for the PlayStation Vita and PlayStation 4 systems back in October 2016. The game features a chibi art-style and has players capture and raise various Final Fantasy creatures, which they can also customize for battle. The PC version of the game features a variety of nice perks that you can look over in the article on the blog, in addition to the game’s new trailer and release info. Developer CD Projekt RED’s renowned The Witcher 3: Wild Hunt action-RPG will be getting some nice enhancements made for Microsoft’s latest Xbox One X console. 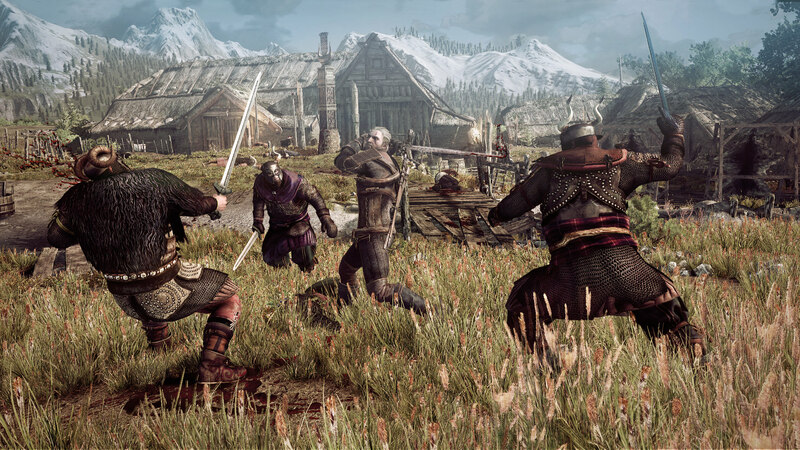 Revealed in an interview Xbox Wire conducted with the studio, the Xbox One X version of the game will feature 4K resolution, high-quality shadows, high-res textures and more from utilizing the “additional power of the” console, said Jakub Kutrzuba of CD Projekt RED. You can check out the full interview over on the blog. Sloclap released Patch 1.08 for their online, martial arts-RPG, Absolver. Known as “the Halloween update”, it brought spooky festivities for players to enjoy. 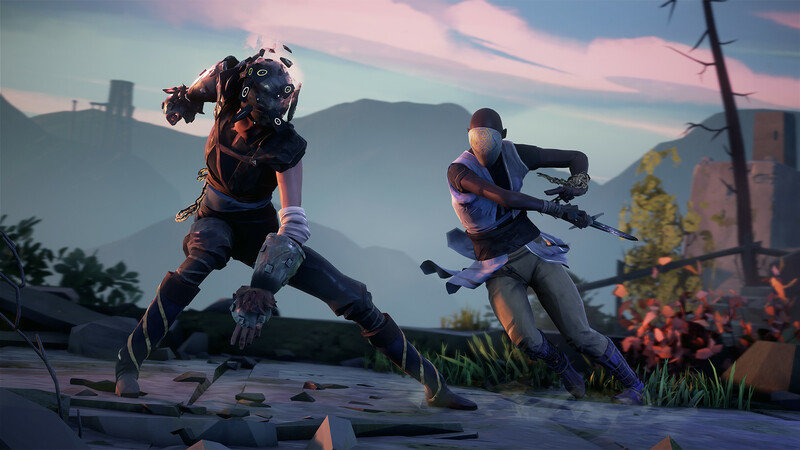 It also brought in a bunch of nice treats like three new Absolver cloaks, four new sets and nine new masks (six of which are Halloween-themed). Aside from the inclusion of new content, there are also the usual bug fixes to the game, which you can read about in full on the blog. Sloclap also noted that they plan to further expand on this update in the coming weeks; creating new systems, new uses for the Crystals and Fragments, Equipment dyes and much more, so stay tuned. 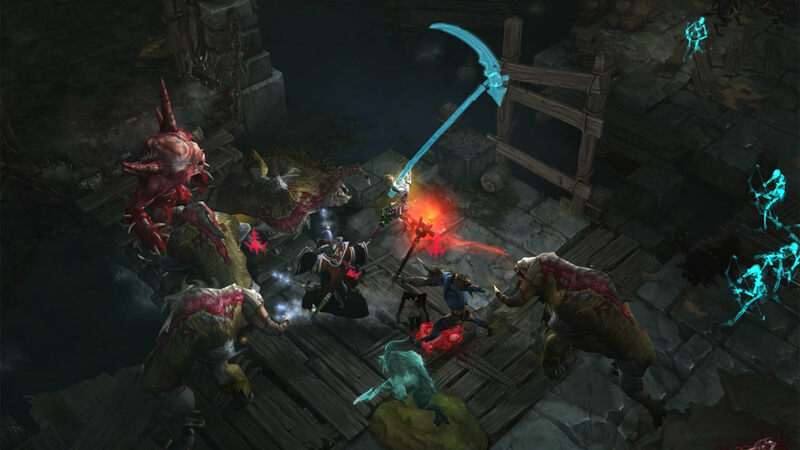 Blizzard has launched their latest 2.6.1 update for their isometric-RPG, Diablo 3. The new patch is now live for the PC, PlayStation 4 and Xbox One platforms. The recent patch has made changes to most of the game’s class, to closely resemble the most requested or popular builds. Some skills have been buffed like the Wizard’s frozen orb distance, while others have been adjusted for improved gameplay. Tweaks have also been made to various Legendary items, granting players more power to toy with and much more. There’s a link to the full patch notes in the article on the blog. So, it actually happened. 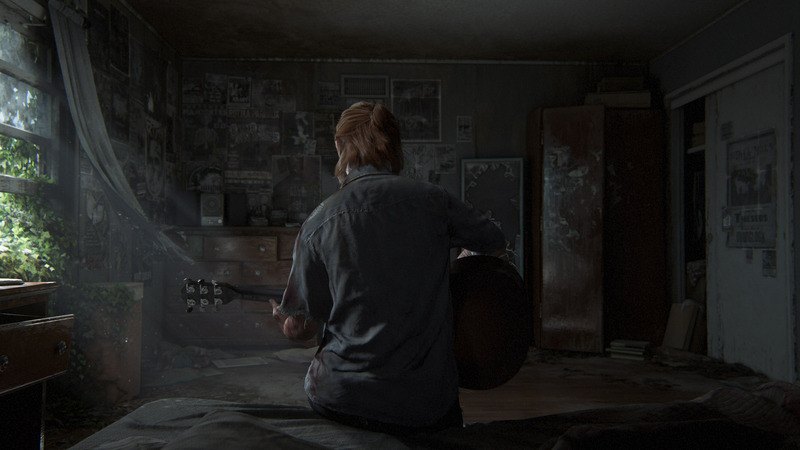 After its original reveal all the way back in 2016, Naughty Dog’s highly-anticipated sequel, The Last of Us Part 2, finally has something new, in the form of a dark cut-scene trailer. The good news was handed out at Paris Games Week 2017 during Sony’s live press conference event. Unfortunately, a release date for the game has still yet to be revealed however. You can check out the new, but brutal trailer to The Last of Us Part 2, on the blog. A bit of warning though, the footage showcases some very graphic imagery and is not for the faint-hearted.